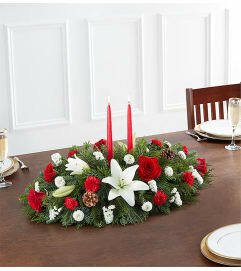 Set the holiday table with a traditional favorite! Fresh and fragrant Christmas greens create a fragrant base for the rich red roses and carnations in our merry red centerpiece. 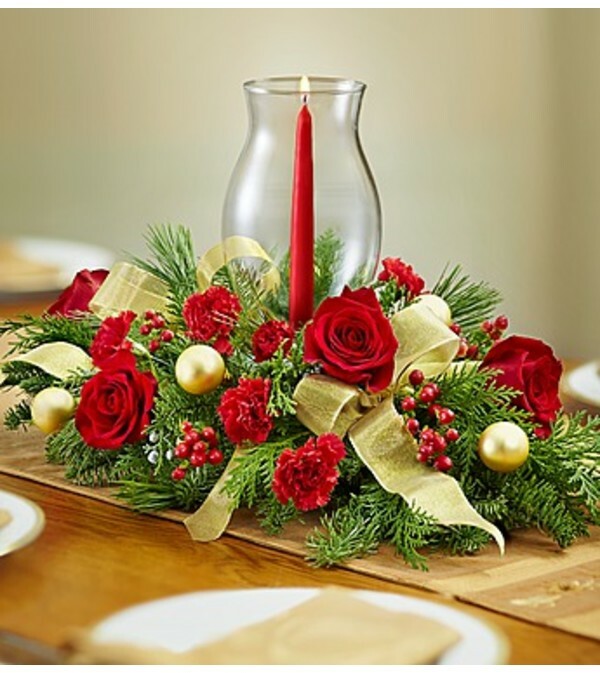 Accented with berries, gold ornaments and ribbon, this classic arrangement comes with a hurricane vase and tapered candle to create a warm and cozy atmosphere for your Christmas celebration. 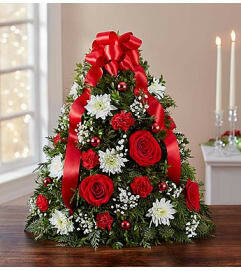 Fresh centerpiece of red roses, red carnations, red hypericum berries, noble fir, white pine, cedar and holly accented with red satin ribbon.